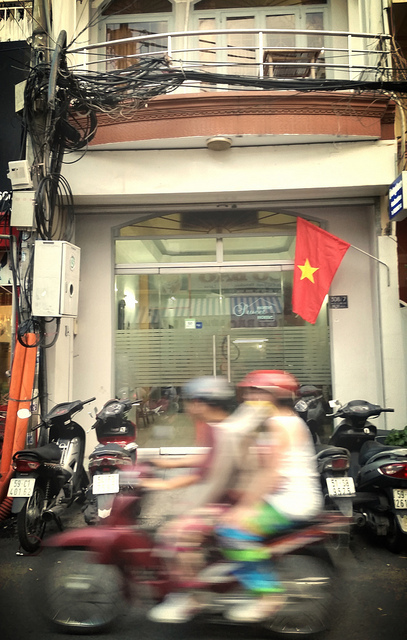 A narrow, multi-level building in the heart of Saigon, Ms. Yang's offers large, clean rooms (some with balconies) and a friendly and helpful host family. The location is perfect, 500 meters from Tao Dan park and 800 meters to the War Remnants Museum, in a local neighborhood away from the hustle and bustle of the "backpacker district." Bicycles are available for rent but Saigon traffic is notoriously hectic, so be careful! Pick up a take-away iced coffee and stroll through the shady Tao Dan Park for a break from the sun. Ms Yang Homestay has become so popular that a second location is now open. Search for Ms Yang Homestay 2 if the original is booked.